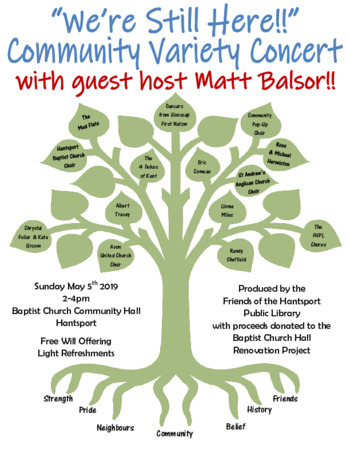 "We're Still Here" Community Variety Concert with guest host Matt Balsor. 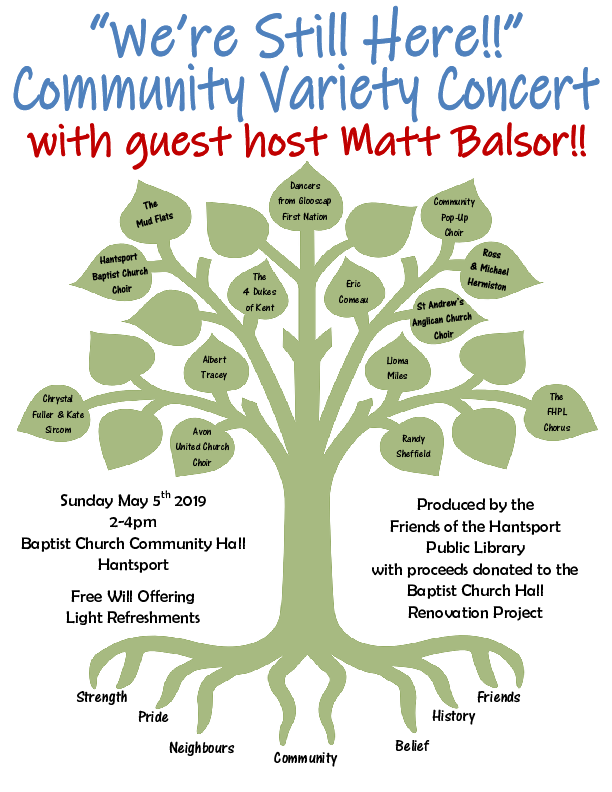 Produced by the Friends of the Hantsport Public Library with the proceeds donated to the Hantsport Baptist Church Hall Renovation Project. A celebration of our community's spirit and resilience in music, dance and spoken word. Everyone welcome. Free will offering and light refreshments.